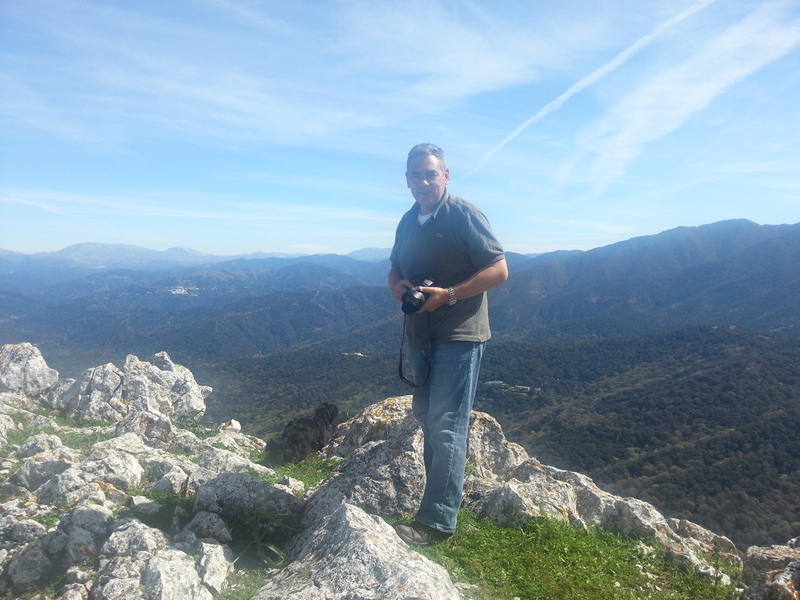 Living in the area of Casares, we’ve done many of the mountain walks that are signposted. For some reason we never thought of taking a ‘side track’ to try and climb the top of the Sierra Crestellina. Last weekend we did! And the experience is definitely worth sharing! 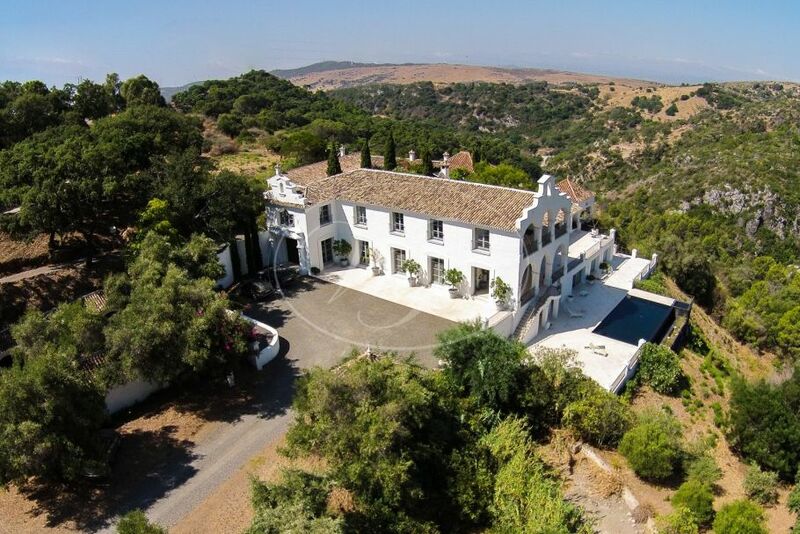 Reaching the top you have a fantastic 360º view over the white mountain villages like Casares and Gaucin, the Mediterrenean Sea, the Genal Valley. It’s impressive. You feel on top of the world! Sunday morning 10am we started our walk. I would recommend walking boots for this climb. I wasn’t wearing them and on trainers it was quite slippery coming down the hill I can tell. To keep your balance on the steep climb and decend, walking sticks can be useful too! It’s a more or less 2,5 hour walk so you would definitely have to bring water, maybe a snack and most certainly your camera. Not only to prove you’ve made it to the top but also to take pictures of the stunning scenery on the way up. Reaching the top I am sure you’ll be amazed by the view. It is breathtaking! The sea, the Ronda mountains, the mountain villages, stunning! For us as estate agents is was also interesting to have a different view on several properties we have for sale. We could clearly identify the villas we have for sale in the Genal valley, Gaucin. Although this walk can be done all year round, now in spring it is extra special finding many of the plants flourishing. If you’re lucky you will see the small wild garlic onions. They are harvested by the Spanish to make a lovely ‘revuelto’. You’ll also find the wild thyme, lavender and rosemary, cactus, the wild rose (jara) and many more. Next to the flowers the new light green leaves on the fig trees are a feast for the eye. The higher you get the less vegetation you’ll see. Although even on the rocks high up, the green and yellow shades of moss sometimes seem abstract paintings. With regards to the wildlife you will see the vultures circeling above you. They nest in the Sierra Crestellina and it’s surroundings. If you go early in the morning or late in the afternoon you might also see deer, wild boar and even mouflon. The walk starts at restaurant Laura, Casares. You start folowing the signposted track through The Sierra Crestellina as described on the Casares walks website. On point 3 in the description, instead of taking the left fork you take the right fork. You follow this path untill it seems to end. Here you search for the goats trail going up hill. There are several trails you can follow, all end up at the same point: the top of the Sierra Crestellina. Previous walkers have left piles of stones to orientate on. Even so, you can’t get lost here. You see exactly were you’re heading, the top! It is quite a steep climb and the path has lots of loose rocks so be careful. On your way back you can decide to follow the itinery of the Crestellina walk (at the fork point 3) towards the refugio or take the same route back. Time wise it is more or less the same. The Crestellina walk is more challenging. A would advise to take the same route back if you feel a bit tired.